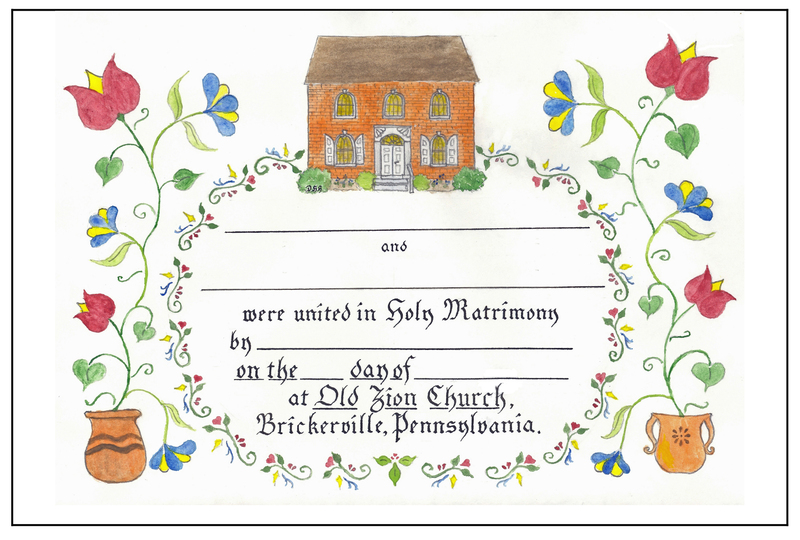 In the tradition of early Pennsylvania German settlements, the Old Zion Board would like to offer you a hand lettered Trauschein to commemorate your wedding at Old Zion Church. This Fraktur piece was designed, lettered and printed by the Board members to celebrate our German heritage. Frakturschriften were often made by schoolmasters or clergy members to note important events in the lives of local families. The Trauschein (Wedding certificate), Taufschein (Baptismal certificate), Geburtsschein (Birth certificate), Haus Segen (House blessing) and Vorschrift (Writing example for good students) appeared in Pennsylvania from the mid 1700s through the late 1800s. There are a few Fraktur artists around Pennsylvania who still practice the art today. If you would like a copy, please provide the full names of the bride and groom, along with the date of the ceremony and the presiding clergyman or civil authority in the lines below. 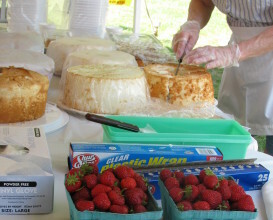 The cost is an additional $25.00 (check payable to Old Zion Church). Certificates are 8”x10” and are suitable for framing. Please select your preferred time: 2:00 p.m. 4:30 p.m.